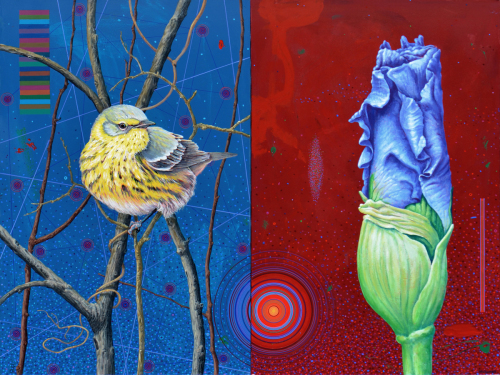 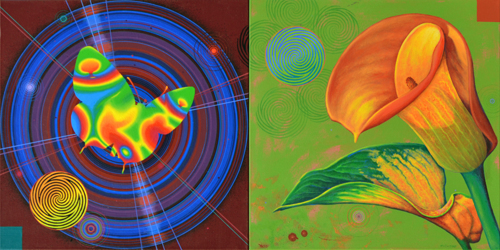 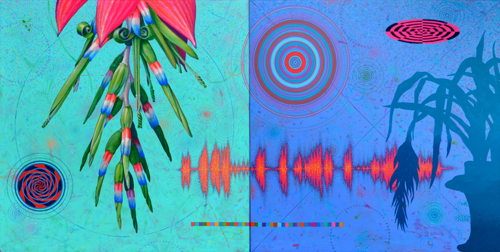 2 Panel painting of Bromeliad flower with energy signatures and Bird Jay voice print. 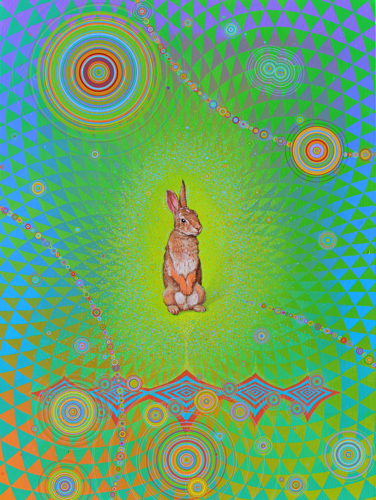 Painting of an isolated Rabbit in a field of vibrating energy. 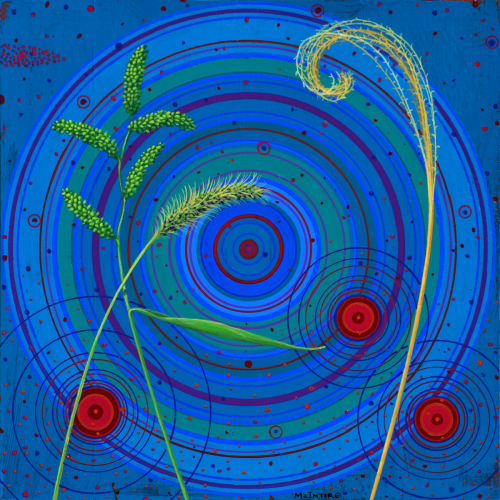 are the energies that surround us and the knowledge of life. 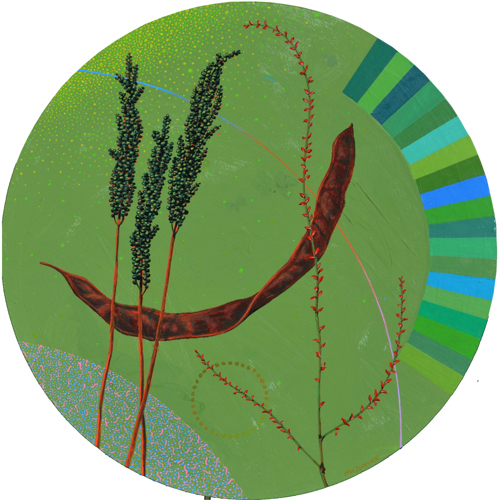 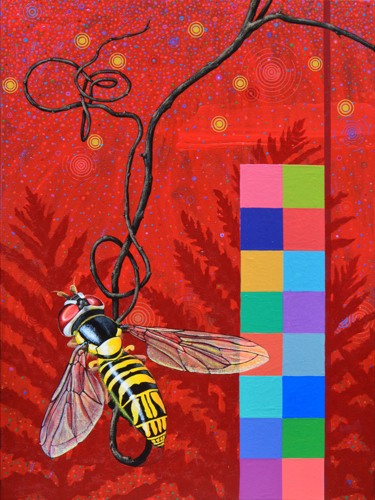 Enamel on Canvas, 2017 • Scene with Wasp Mimic Fly on invasive Bittersweet vine in front of Ferns, a Colorbar, micro organisms and energy signatures. 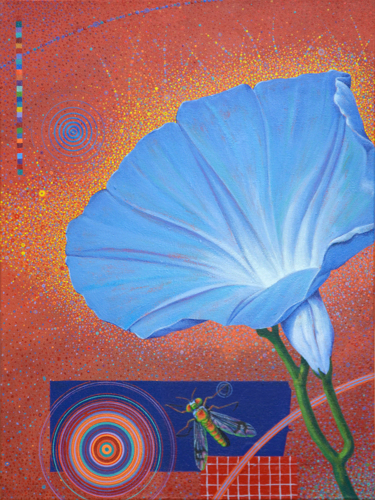 Dog Day Cicada on calligraphic Bittersweet vine with Colorbar, energy signatures and knowledge symbol. 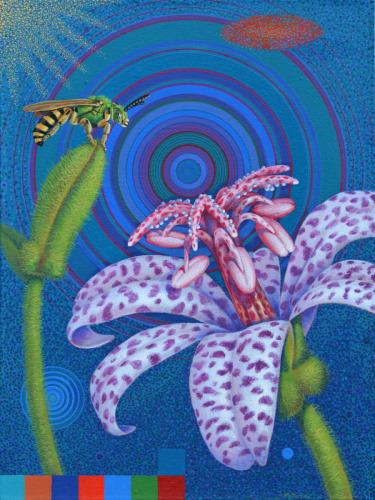 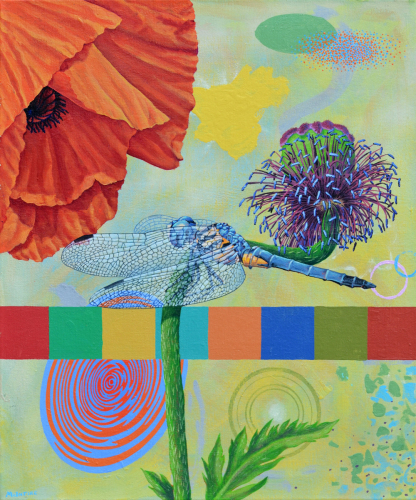 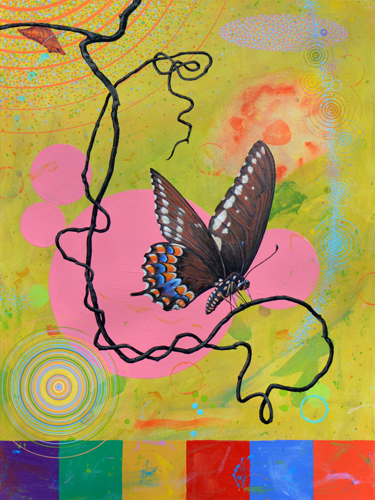 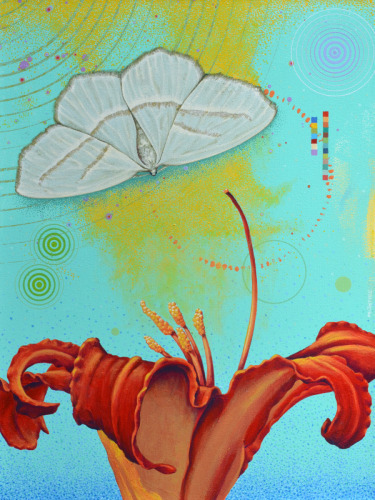 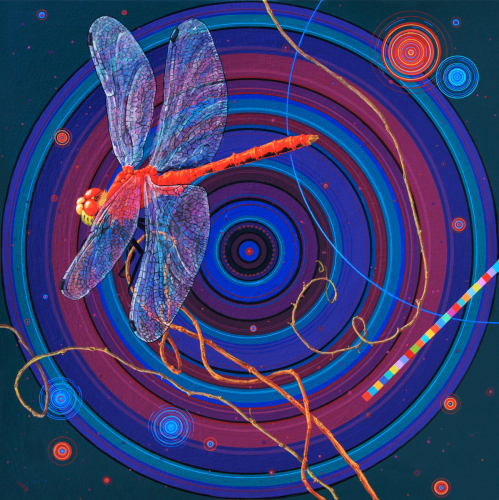 Autumn Meadowhawk on Bittersweet vine with various energy signature in the background is part of my Energy Field series of BioArt paintings. 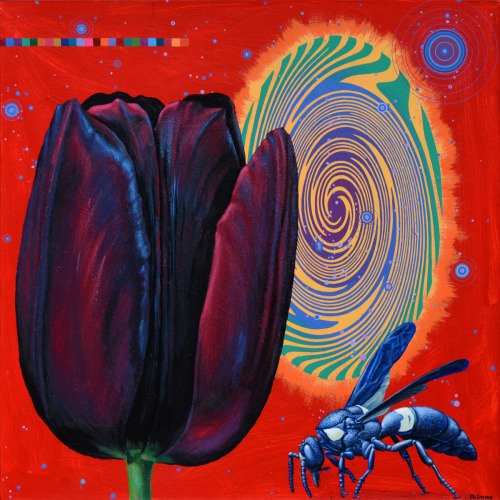 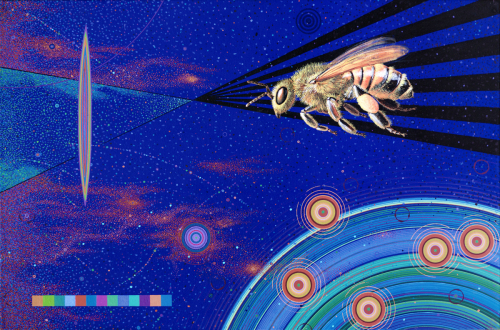 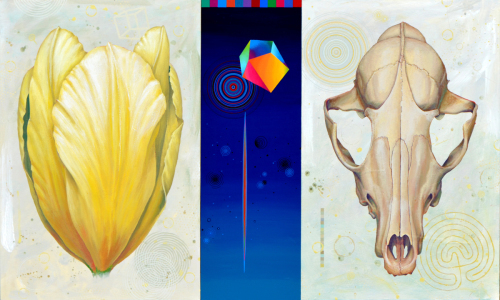 Daylily, Stag Beetle and Succulent surrounded by sounds, power transmission tower, cellular energy fields, night sky, colorbar, microbiome and a drone. 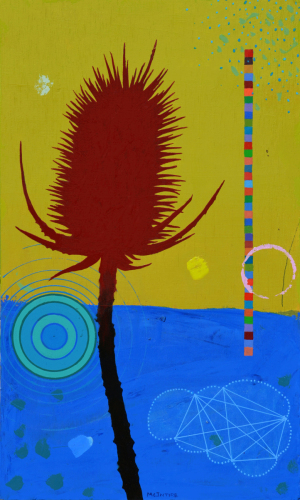 Silhouette of Thistle surrounded by sounds, a colorbar and a network system.